On January 28th, Arts Catalyst launched its Centre for Art, Science and Technology with Notes from the Field: Commoning Practices in Art and Science. Notes from the Field: Commoning Practices in Art and Science was a multi-faceted project, which investigated the notion of art as a tool or tactic for action with communities, with a focus on projects involving science and technology or driven by ecological concerns. 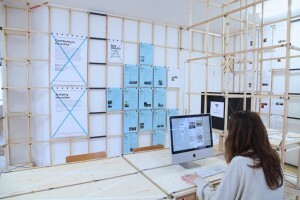 For the exhibition, an archive room designed by Collective Works and ConstructLab, housed physical copies of selected Arte Útil case studies, and through exploratory workshops and discussion events, visitors spoke with invited resident guests, undertake their own research, or proposed new Arte Útil case studies. 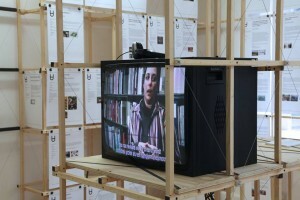 Artists: Critical Art Ensemble, YoHa, Tania Bruguera, Fran Gallardo, Andy Freeman, Dimitri Launder , Veronica Ranner, Lisa Ma, Dr Sylvia Nagl, Alistair Hudson, Ben Vickers, Fernando García-Dory, Neal White, Centre for Alternative Technology, British Society for Social Responsibility in Science. More information about the programme can be found at this link.